Step 1 : Add this code to your html page to fetch role and friends information of current logged in user. Step 2 : Add CometChat Chat Variables in your site template’s head tag. » Add this code in your site template’s head tag just after the above mentioned chat variables. » Set the desired height and width values of the chat box in the text boxes provided and Click Generate code. » Copy the generated embed code and add it your webpage’s HTML accordingly. That’s It! 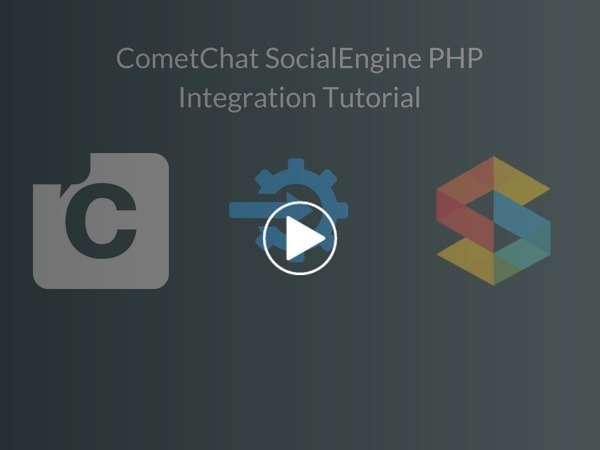 CometChat has now been integrated on your website.